In what has been an ongoing trend around the world, anti-terrorism laws continue to be re-worked in country after country. 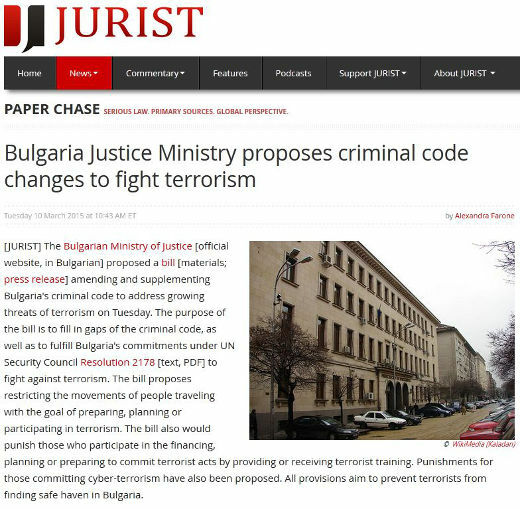 Bulgaria is the most recent nation to propose changes to its criminal code to better handle the growing ‘scrounge of terrorism’. More specifically, this proposed Bulgarian bill will look to restrict the movements of its citizens traveling with the goal of training or participating in terrorism acts. The bill will also clamp down on citizens providing support to terrorists by raising and/or sending money, participating in cyber terrorism, preaching terrorist ideals and helping plan terrorist attacks.